The DP made these revelations during the BBC talk show HardTalk with Stephen Sackur. Dr. Ruto however said that he had followed all due procedures while purchasing the land which today is at the center of controversy over its purported ‘illegal acquisitions’.The DP instead passed the blame to its former owners whom he says had tricked him into buying property which they knew was not rightly acquired. He is therefore an innocent buyer. 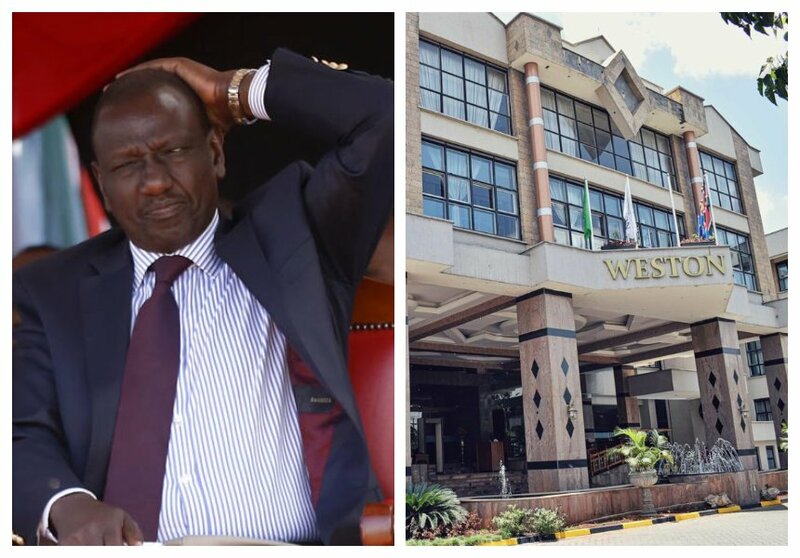 He further says that investigations are underway to unearth the truth of the matter and that the illegalities should be rectified accordingly.While inquiring about the status of Weston, Mr. Sackur asked the DP to explain about the Weston Hotel controversy.“Can you explain something about the Weston Hotel, which is said to be yours and which is said to be sitting on illegally acquired land,” Mr Sackur asked the DP.In his reply, the DP stated that“We may leave that topic for now as that is a big story…,” as he wanted to evade the question. Kenyans have taken up to twitter to voice their opinions about the whole situation with most demanding that the hotel be demolished and land returned to it’s rightful owner. When DP Ruto was caught grabbing land of Muteshi , he said he was innocent and didn’t know the sellers grabbed it. The same narrative on Weston hotel grab. Is it only who is ever conned ?